It may surprise many people to learn that 25% of those who die every year in the U.S. are veterans. To help provide care and support that reflect the important contributions made by these men and women, Hospice of the Valleys has become a national partner of We Honor Veterans, a pioneering campaign developed by the National Hospice and Palliative Care Organization in collaboration with the Department of Veterans Affairs. 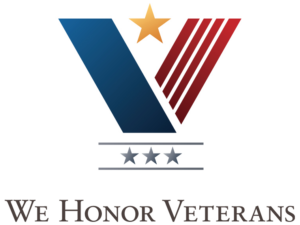 As a We Honor Veterans Partner, Hospice of the Valleys will implement ongoing veteran-centered education for our staff and volunteers to help improve the care they provide to the veterans we proudly serve. The nation is seeing many of the veterans who served in World War II and Korean pass away—and the number of deaths of Vietnam veterans is beginning to rise. In July 2018, Hospice of the Valleys Board Member and We Honor Veterans Program volunteer, Anthony “Chris” Christopher, receives award recognition by the City of Menifee City Council.